How many times have you wasted your precious time drawing the same play card week after week? Our guess is it has been too many to count. 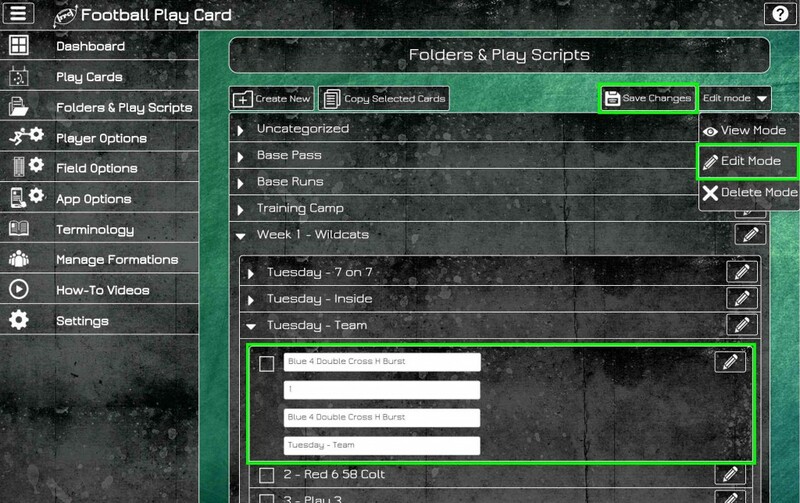 Because helping you save time and be a more efficient coach is what we’re here for, we added the functionality to quickly copy one or multiple play cards from one folder or play script to another with a simple click of a button. Why draw every play card from scratch when you can save time by copying and reusing it. Since we added copy play cards, we also added the functionality to edit and delete folders, play scripts, and play cards. With Edit, you can quickly change the folder, play script, or play card name and you can also change the play card number and optional text fields. The Delete feature allows you to delete folders, play scripts and play cards. 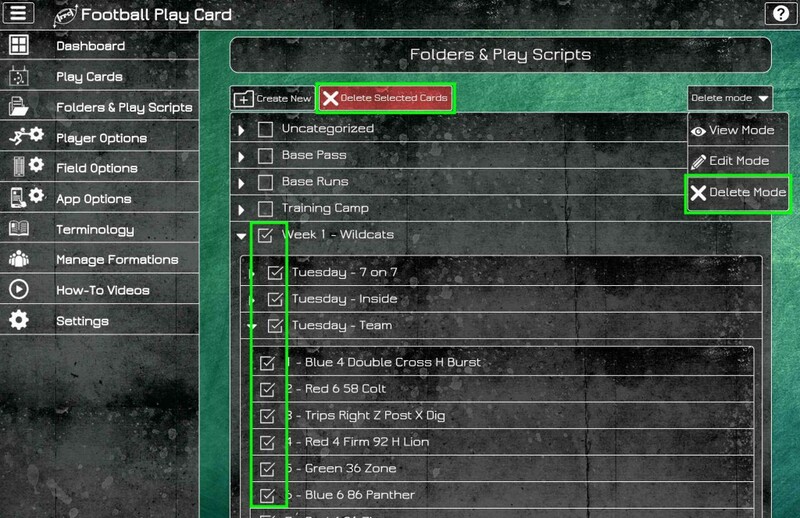 Once you have copied your play cards to the new folder or play script, you need a fast way to make the necessary changes or updates and move on to the next card. The new navigation buttons are a quick and efficient way to navigate between play cards. 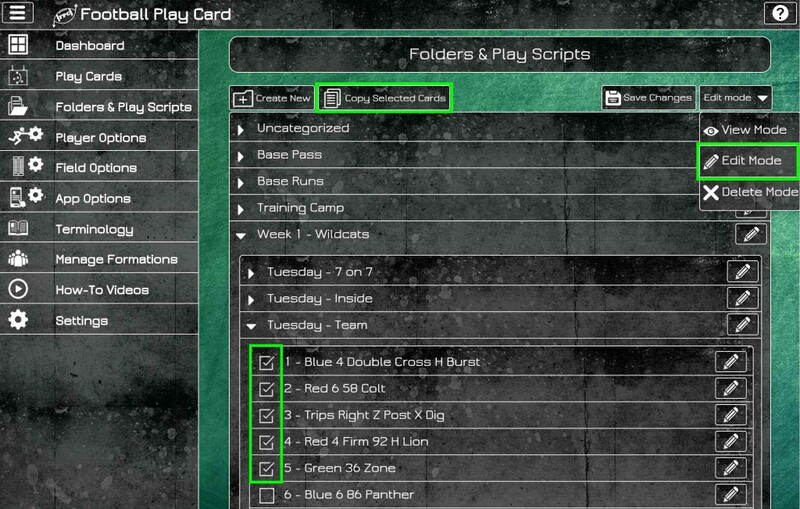 Log in now at FootballPlayCard.com to Copy, Edit, and Delete Play Cards, use the new navigation buttons and to check out all of the latest features and enhancements. This new functionality will be available in the iOS and Android mobile apps soon. This entry was posted in Football Play Card News, New Functionality and tagged Copy, Delete, Edit, Folders, Football Play Card, Navigation, New Functionality, Play Cards, Play Scripts. Bookmark the permalink.